Did you know that Catholics don’t say “Alleluia” during worship in lent? It’s totally taken out of the mass and everything. I just learned that last year. Something you can do with your kids is to “bury the Alleluia”. You can find my directions for making your own printable Alleluia banner for this here. There’s a song we used to sing at Vacation Bible School with “Alleluia” in it. I’m going to sing it with my kids this year before we hide the Alleluia. Here’s a You Tube video I found on how to sing this song with your kids. Mardi Gras is also knows as “Pancake Tuesday”. It was originally traditional to eat pancakes on Fat Tuesday because making them used up a lot of ingredients you weren’t allowed to eat during lent, such as fat. Last year, I made some Mardi Gras Pancakes for our family, and they were a big hit! We’ll be enjoying these again this year! And if colorful pancakes are your thing, maybe you’d like to try your hand at some pancake art with Jenni Price Illustration. Her pancakes are enchanting! 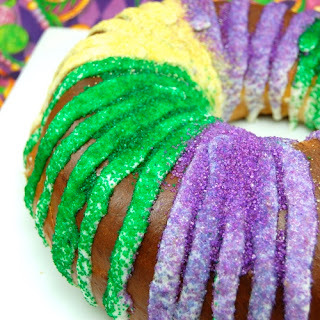 Kings cake is a very traditional food to make on Mardi Gras, and to make your own you’ll need loads of colored sugar! Make your own colored Mardi Gras sugar with my easy tutorial from last year. Find some great directions on making a Kings Cake with Sweet Pea’s Kitchen. I saw someone mention that at their Catholic Mardi Gras party, whoever gets the “baby” inside the cake gets to lead the rosary. I thought that was a cute idea! You could also try crafting some Mardi Gras masks. I thought these masks from Twig and Toadstool were especially cute! You can also find some printable Mardi Gras masks here. 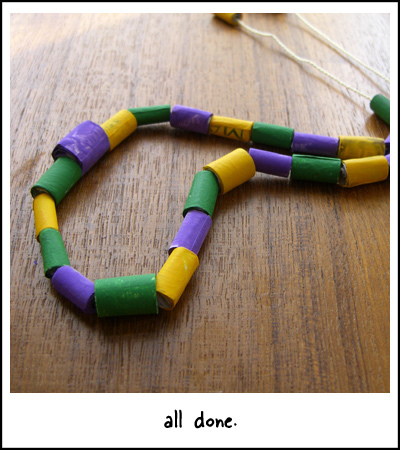 You could also try crafting some Mardi Gras beads with you children! Find directions on making Mardi Gras beads with paper on Alpha Mom. 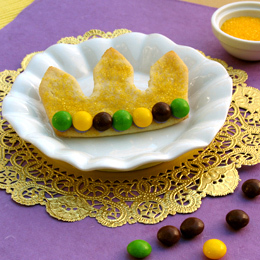 Aren’t these Mardi Gras Crown cookies adorable? 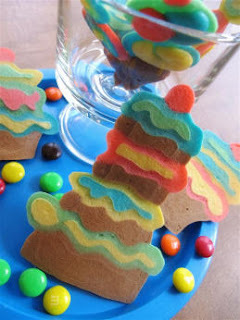 Find the directions to make them from Disney! and learn about the colors of Mardi Gras. As always, if you have additional ideas and/or links, please leave them in the comments! We’re being very “chill” about Mardi Gras around here this week- I’m a little overwhelmed right now, and I’ve been focusing heavily on preparing for lent, but it will still be nice to eat some pancakes and bury the Alleluia. God bless! Great ideas! We are going to attempt our first homemade King Cake and make an Alleluia to then hide til Easter. I'm excited to use the Banner Template and make one that isn't "hand drawn". Thanks for all of the fun ideas, Lacy! I too love the idea of using sprinkles on doughnuts;-) Those pancakes sure look good too! Ooohhh! Great post. We will make those pancakes. What a cute idea to color them. Thanks for sharing all these wonderful ideas Lacy! 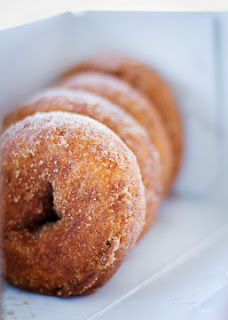 Fantastic idea about using colored sugar on the doughnuts…that is about my speed right now too! Thanks! I like the Mardi Gras game. Maybe when lading on a color, freedom- green, justice-purple or power-gold the player could choose a card that color that he has to do or share for older children or even adults. You’d gave to write the action they would get to do ahead of time. Just an idea. Thank you.